﻿ Best Price on Hotel Royal Oasis in Port Au Prince + Reviews! 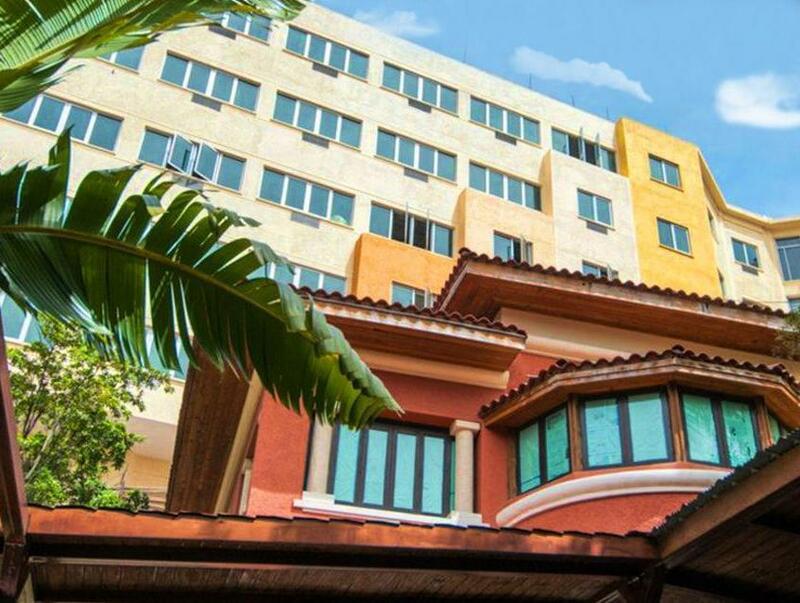 In the heart of Pétion-Ville, the Royal Oasis by Occidental features modern décor, a garden and an outdoor terrace with views of the capital, Port-au-Prince. Royal Oasis by Occidental’s modern, air-conditioned rooms include a flat-screen TV with satellite and cable channels. They feature a desk, a safe, a minibar and a private bathroom with a shower and free toiletries. The property has 2 restaurants serving Mediterranean cuisine, appetizers and tapas, and 2 bars which provide cocktails and drinks. Guests can enjoy an on-site art gallery, as well as boutiques and bank services. The center of Port-au-Prince is 5 miles away, and the Seaport Terminal is 5.5 miles away. Port-au-Prince International Airport can be reached within a 20-minute drive of the property.